Hi Anthony! Can you tell us a little about your latest book? It’s about the literal and spiritual battle between good and evil. If the Creator returned tomorrow (which happens in the book), how would you react? What would you as a reader expect? Would you be ready? This novel appeals to the reader to look inside themselves and see where they fall in the battle of good and evil as they identify with the characters. As current times are as they have been prophesized in several holy books, including a general increase in anarchy, the demoralization of our society’s ethical fabric, the wars, and the persecution of those trying to worship, the stage has been set. Sides are being chosen. Angels and their worst enemies prepare for The Coming. 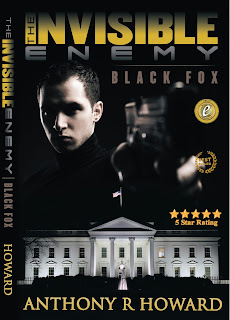 You last two novels were from the spy/action genre, including one bestseller The Invisible Enemy: Black Fox. How did you make the transition into religious writing, and do you think your platform will follow you into this new genre. In my mind I didn’t make a transition. This is actually the book that got me my first book deal. It was decided by the publishing company to come out with the spy series as a business decision because of my background with technology and the Dept of Defense, and the degrees and awards behind my name. I speak at technology conferences on a regular basis but I wasn’t a famous minister. In their minds, I didn’t have a guaranteed platform to generate book sales. Do I hope my audience follows? I’d like to think I’ve built an audience who loves good writing, so I believe they will venture into this genre even if it’s a bit new to them, because they enjoy good writing. The point of literacy of to bring people to something new. Something great. One of my goals in writing is to broaden the experiences of my reader community and add to the literary art form. It believe its key to not only present a fascinating story to the reader, but to bring value to the reader aside from entertainment. I believe that’s one of the key differences of my style of writing. Everyone loves to be entertained, so I’m obviously going to do that, and I truly enjoy it. Then a lot of people also value riveting, thought provoking idea’s. Topics where you finish the book and want to know more. Motifs that make you want do a bit of web surfing on the topics presented, or maybe dive even deeper. With my first books, I wrote the book that I had always wanted to read but had never been written. With this book, I wrote the book that I really needed to be read but had never been written. It’s a journey for the reader. You have to ask yourself a question during the book: Are you ready to face yourself? For many people the answer will be no, which makes the book an even deeper journey as they realize where they fall in the battle of good and evil. Each reader will face their own internal journey. Some who are not familiar with any religion will hopefully want to know more as they look inside themselves. Even though the book is called Devil’s Diary, the book is not about evil. The second part of the title is the focus. The Coming. 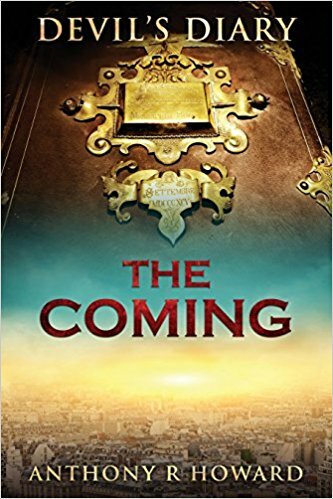 Biblical Prophecy is certainly complex. There are literally hundreds of interpretations and translations. I put them into 3 main categories during my studies. 1 The Past interpretations: meaning that some interpretation believe that the 2nd coming of Jesus has already happened. 2nd group is the Present interpretation, meaning that based on what is happening now, the 2nd coming is imminent, the 3rd group is the Future interpretation which pretty much follow the course the 2nd coming is off in the distant future someplace. I focus on the present interpretation. The book the Creator returns, but its not quite what you’d expect. This is not about the rapture. It’s about the war between good and evil. God vs His enemies. Actually I have to say may all time favourite book covers is Devils Diary (and I’m completely unbiased ☺ ) because there is such a good story behind it. Because this book touches on God, the traditional publishers were hesitant to touch it. 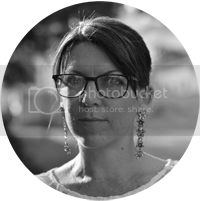 I started my own publishing company, Black Fox Imprint, named after my first novel to hit the bestsellers list, to put it out. Instead of doing the usual market research that some publishing houses do, or using a stock image as is often done in the literary arena, I had my readers actually design and pick the cover. I started from 6 select proofs. All of them were good. I posted them all at once for all readers to see, and to and provide feed back to whatever cover moved them to do so. Literally hundreds of readers responded. Emails, calls, texts, social media responses flooded in. Using their direct input, I created a cover that I really liked, but readers actually created and loved. I ended up combining two of the popular cover selections. Bestselling, Award-Winning author Anthony R. Howard has been an industry recognized consultant and technology expert for the premier global technology firms for over 12 years. Presently he is a leading Technology Specialist for one of the world’s largest Information Technology firms where he was named #1 IT Super Hero by InfoWorld and ComputerWorld, was the winner of the National Federal Office Systems Award (FOSE - Nation’s Largest Information Technology Exposition Serving the Government Marketplace), and the 2004 winner of Government Computer News Best New Technology Award. Several case studies have been published on Howard’s solutions across the Information Technology industry. Currently he provides enterprise technology solutions and advisement for America’s most distinguished clients including a sizeable amount of work for the U.S. Defense Sector, Department of Justice, and the Department of Homeland Security. His projects have been featured in national media outlets including Fox News. 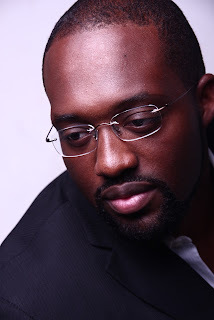 After founding his own technology firm, Howard completed his formal education with a Masters of Business Administration with a concentration in Information Technology. His vast career has included controlling hundreds of devices worldwide from secure Network Command Centers to relocating overseas to Amsterdam, The Netherlands for more than a year to solve technology issues for American based companies. He has also worked briefly for a private military logistics corporation that contracts a sizable amount of work from the Department of Defense and other military institutions. He’s also the bestselling author of The Invisible Enemy: Black Fox , The Invisible Enemy II: Vendetta & Devil’s Diary: The Coming.